Built to outclass the competition. We believe in delivering results. 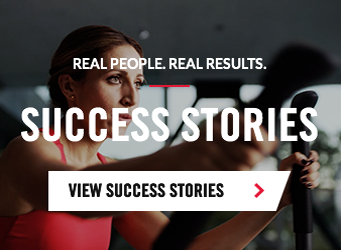 Starting with deep consumer insights and rigorous testing, the Bowflex Results Series™ BXT216 Treadmill was built from the ground up to meet all your fitness needs. With FREE entertainment and connectivity options, innovative real-time custom workout creation and impressive design, the BXT216 was built to exceed expectations and deliver results. We believe in delivering results AND affordability. That's why the handsome yet economical Bowflex BXT116 Treadmill specs were chosen based on competitive research and come with a lot of great bells and whistles too. If function and affordability are your thing, look no further than the BXT116. Vous pouvez payer votre Max Trainer pendant une periode de 12 mois sur les achats effectués avec votre carte Visa Accord D de Desjardins! Buy with confidence. If you're not 100% satisfied with your purchase, contact Customer Service within 6 weeks of delivery for a Return Merchandise Authorization (RMA) number. † Satisfaction Guaranteed∞ Individual results will vary.